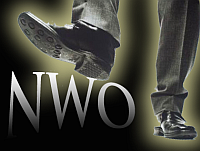 There’s been much talk and writings about the New World Order (NWO). 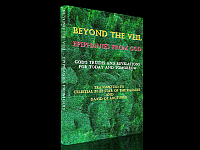 Most observers see and explained the concept in political and economic aspects only, and most if not all of the opponents of the NWO overlook the third component, which is important for a complete NWO – theological. The first two components are already very much in placed, if not fully implemented, but for a matter of time only. The third component is an oversight by many commentators, or perhaps not taken as serious/important because ‘belief’ is (mis)taken as personal, and does not effect world control. Religion is the most effective tool of control, especially so because it involves god/s. Ninty percent of earthlings have this fear, or at least some respect for the Super-Being, portrayed in various forms in various religions. Thus, to command earthlings via god/s to the wishes of the NWO masters is very mush easier and effective than coming from the human masters themselves. People are very capable of questioning & criticizing their political leaders, but are timid against their ‘holy‘ human masters (gurus, priests, mullahs, etc.). Look at how powerful the Vatican is. Most religions, especially Christianity, are facing serious problems from within and externally, and more so for Islam after the 911 aftermath. Generally, the ‘initiators‘ behind the NWO are primarily and irrefutably, prominent Jews comprising of Jewish politicians, corporate figures, and the infamous Wall Street Banksters. Judaism therefore, would naturally occupy the position of the ‘official religion‘ of the NWO, and be entitled for the New World Religion. Baha’i ?? Nooo! Maybe not. All the main religions of the world (by design) are losing their credibility day by day. One of the reason is that none of them is ‘universal‘ enough to be embraced by all the Earthlings. Each religion is stuck (by their own doings) in geographic and ethnicity in its forms and rituals, and as such became difficult & cumbersome for others to integrate into its peculiarities. Christianity is too Western, Islam is every inch Arabic, Judaism is too Israelitish and so forth. What about Baha’i? Well…if you study it, it is UNIVERSAL in design. Although Persian in origin, but it has none of the forms of medium, ancient rituals and tenets of the other religion. It is New Age, and easily appealing to modern day Earthlings. Even more attractive is its acceptance and recognition of all the prophets, gurus and messiahs of Judaism, Christianity, Islam, Buddhism and Hinduism, which simply means Baha’i is ALL religion combined. Fantastic! It even has its own office/center in the U.N. headquarters. Guess where its International HQ is? Its on Jewish soil – Haifa, Israel. Of all the places on Earth…and I would have expected it to be located somewhere on the Himalayan mountain, where Everest is. The Bahá’í Faith’s reach and influence is worldwide. Their leaders have contributed to the birth of the UN and take part in every conference related to global governance and initiatives such as the drafting of Agenda 21 and the Earth Charter. It is well recognized that the Bahá’í Faith is, for all intents and purposes, the religion of the UN. With one of their offices located in the UN headquarters, Bahá’ís have influenced and converted many international politicians to the teachings of Bahá’u’lláh. Is truth synonymous with religion and vice-versa? Truth stands on its own. It needs no support, or proof from anything, anyone, or any form of collectivist bodies like religion, association, clubs, government, politics, academy, ideologists, scientists, media, cults, campaigners, advocates, etc., etc. Truth is simply “it is”, just as you exist and that’s it. It doesn’t matter if anyone else believe, deny, see, or hear you or not. You exist. Period. That is all and all there is. Discernment is all that is needed to ‘see’ the truth. This is quite interesting. I have known of the Baha’i religion for years but never thought of it being anything significant enough to concern myself with. Very interesting indeed. I take comfort in knowing that Allah plots and plans as does man, but Allah is THE BEST at planning. just like the rest of us in this world. There is nothing new here. and was the safe haven for others persecuted in their own lands. to truthfulness and openness with their members. born in the last 2 centuries, why imagine that only one is the force behind our evolution. Really unbelievable how some people twist the truth like this. Believe it or not, there’s nothing sinister about the Baha’i Faith, never has been, never will be. Get your facts straight and stop bending the truth. Baha’is are very open about their beliefs. The New World Order is the same as the Christian ideal of the Kingdom of God on earth. There is no difference other than interpretation. You should have respect for other religions and not place a picture of Baha’u’llah on your site. Baha’is believe that the image of a Manifestation of God should not be publicly displayed. It’s disrespectful to do so. Believe it or not, there is nothing wrong with a world government or world peace. No one is forcing it on anyone. It is a natural evolution of society, just as tribes and city-states evolved into nations. Baha’is have no evil or hidden agenda. I’ve been in the House of Justice building, btw. It’s not a prison. LOL. What nonsense! You can see photographs of it’s interior online!!! I believe that Baha’u’llah is the Manifestation of God for this day and age and the Return of Christ in the Glory of the Father. If anyone believes He is an antichrist or false prophet, then that person is truly like the Pharisees and scribes of old. The proof of the pudding is in the eating. Investigate the truth with an open mind. “Believe it or not, there is nothing wrong with a world government…” Yeah…right! Then, you have nothing to worry mate! However, the truth shall prevail. Anyone who thinks the Haifan Bahai agenda is not sinister after perusing the blog, is either a Haifan Bahai or needs to have their head examined. Wow, I thought I’d seen sme lunatic conspiracy-theory websites before, but this one is something else. I’ve been a Baha’i for fifteen years now, and I don’t know what religion you’re talking about here. Certainly not the one I know. So waht’s all this talk about “Truth”? I just perused the entire blog as the note above suggests. I have notes on bout seventy complete factual errors, including some totally weird opinins based on incomplete knowledge. Clearly no one connected with this site has done anything but cursory research on the actual teachings and their meaning or you wouldn’t publish this stuff and look so foolish. It’s totally fair to disagree with a religion, but totally unfair to distort its teachings and beliefs to support some kind of vendetta. I expect this from our U.S. political parties, not from people who claim to be seeking truth. The truth stands on its own, and ‘time’ surely is not the determining factor, and which only supports it temporarily until an awakening of sort. Bahai’ is new compared to other religion, and most if not all have not stood up to the test of time even after thousands of years. We need not be disturbed by this phenomena, as the truth shall prevail…I assure you it DOES! Baha’i faith has not stood the test of time so well. complete unity of religions and an end to wars in the 20th century. There have been some shady business going on at the executive level. Baha’i faith has not brought us anything more than Jesus and Krishna. And changes are being made to Bahia scripture as we speak. have given the world wonderful spiritual dispensations. The Baha’i Faith is a comprehensive program for bringing about world peace and overcoming prejudices. It seems to me that all you have to offer as an alternative is a world of endless war which will lead to mass destruction and the brutal extermination of the whole human race! So how can you possibly feel satisfied with yourself, and consider your viewpoint to be superior??!!! Gender equality is not honored in Bahai organization. No female is allowed a seat in the U H J in Israel that makes all decisions. The founders state that property is to be left more to Males than females. Men can have more than one wife, woman can only have one husband. Only men are the Head of the household.